Tableau Software a leader in visual analytics, has announced the roll out of Hyper, the new data engine technology included within Tableau 10.5. With Hyper’s ability to slice and dice massive volumes of data in seconds, customers will see up to 5X faster query speed and up to 3X faster extract creation speed. * This will allow faster insights for even larger data sets, giving organizations the ability to scale their analysis to more people. Also included in the release is Tableau Server on Linux and the ability to embed multiple visualizations in a single view with Viz in Tooltip. Hyper, along with the rest of Tableau 10.5 capabilities, including drag-and-drop power trend lines, a new Box connector, and Tableau Mobile updates, will be available to all customers in all products this week. Hyper is Tableau’s new in-memory data engine technology, designed for fast data ingest and analytical query processing on large or complex data sets. With enhanced extract creation and refresh performance, and support for even larger datasets, customers can choose to extract their data based on the needs of the business, without concern for scheduling limitations. Furthermore, to keep customers in the flow of their analysis, Hyper can complete queries on large data sets in seconds. With fast query performance, complex dashboards open faster, filters are snappier, and adding new fields to visualizations is almost instantaneous. Originally incubated at the renowned Technical University of Munich (TUM) in Germany, Tableau acquired the commercial spin off and integrated the technology into the product in fewer than 18 months. Hyper also helps customers scale their extracts for broad usage by leveraging the latest multi-core processor advancements and employing novel workload parallelization techniques. Hyper’s patent-pending technology is a fast in-memory system designed for transactional and analytical workloads without compromising performance. By leveraging cutting edge query optimization techniques and a single columnar storage state for all workloads, Hyper will help bring customers closer to their data. Hyper has gone through extensive customer and internal validation including a seven-month pre-release program and nightly performance testing with 62,000 workbooks. Upgrading to Hyper is seamless; customers can simply upgrade to Tableau 10.5 and no data migration is needed. With Hyper, Tableau continues to give customers choice and flexibility in their data analysis, as they can choose how they want to connect to their data. Customers can leverage Tableau’s hybrid architecture with live and extract options, as well as its portfolio of more than 65 connectors to more than 75 data sources. Tableau 10.5 also introduces Tableau Server on Linux, enabling customers to combine Tableau’s analytics platform with Linux’s enterprise capabilities. 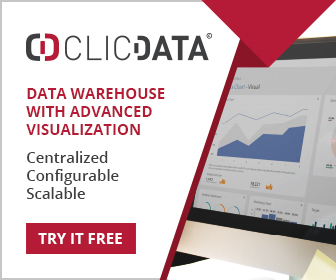 With identical end user functionality to Tableau on Windows, customers already using Linux in their IT environments can quickly and seamlessly integrate Tableau Server into their processes and workflows. With this new deployment option, customers who prefer Linux no longer need to maintain both Windows and Linux environments to support Tableau. Additionally, for customers who wish to run Tableau in the public cloud, Tableau Server on Linux is a compelling solution. While the cost of Tableau Server is the same on either platform, deploying to the public cloud on a Linux server is an extremely cost-effective deployment option. Tableau Server on Linux has been built from the ground up for easy deployment and management and includes support for CentOS, Ubuntu, Red Hat Enterprise Linux, and Oracle Linux distributions. IT teams can also control user authentication through LDAP, Active Directory, or local authentication. Making the migration to Tableau Server on Linux is simple via a backup and restore. 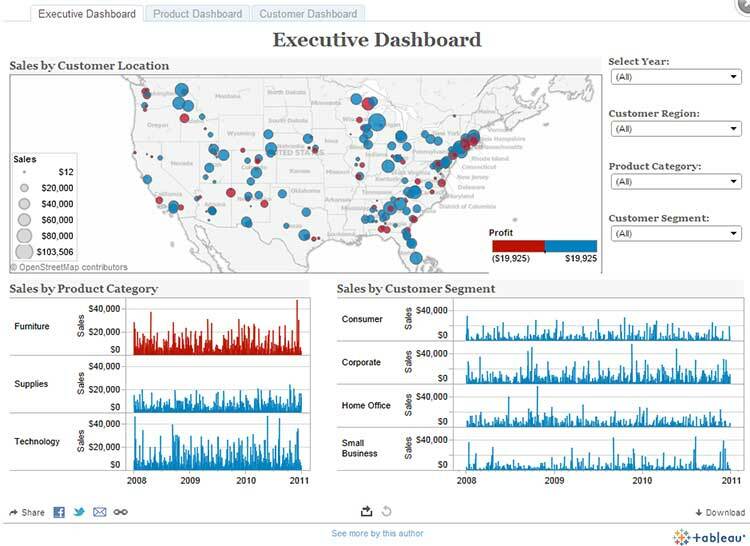 Tableau continues to invest in new ways to visualize and interact with data. With Viz in Tooltip, customers can engage with their data at a deeper level and maximize dashboard real estate by embedding contextual visualizations inside the tooltip, without writing a single line of code – an industry first. With this approach, a customer can hover over a mark to display details-on-demand while staying in context of the original view. This new addition also allows Tableau customers to streamline their dashboards and stories, seeing new insights within context, while also saving space and keeping designs clean by adding supplemental data into the tooltip. People will be able to tell two stories at once, with a tooltip enriching the dashboard with supporting data. Making Tableau dashboards even more interactive, new tooltips encourage curiosity and exploration from viewers, inviting people to learn more about the data in an engaged manner. Tableau 10.5 also includes nested projects, giving customers more fine-tuned control over content organization and permissions. This makes it easier to organize workbooks, so everyone in an organization can find what they are looking for. Folder permissions can also be customized at each project level, or with a top down permissioning structure.